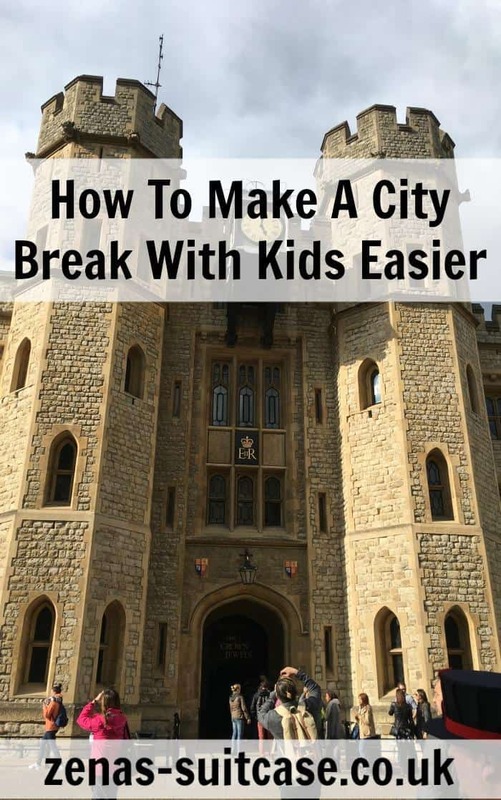 Taking young children on a city break is not with out challenges, but the rewards far outweigh the hurdles you have to overcome. Staying at the Hilton London Canary Wharf is definitely a good place to consider if you want a successful city break with kids. 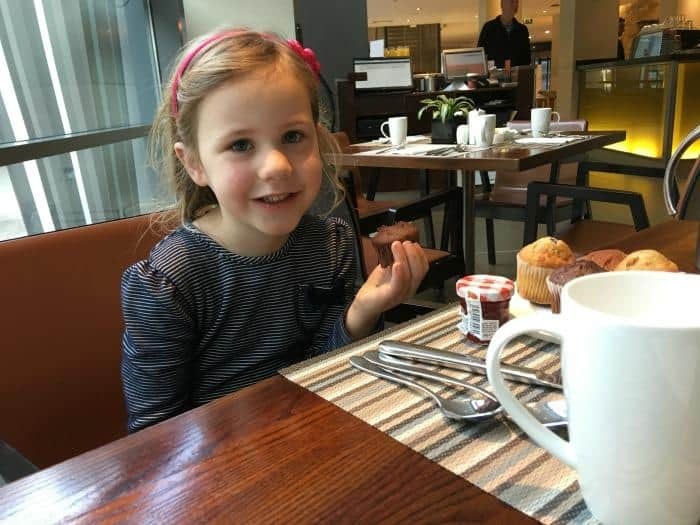 Our children are 3 and 5 years old, and they had an amazing short break when we stayed with Hilton Hotels recently. As parents, we also got some much deserved down time too, thanks to picking a great hotel to stay in. The Hilton London Canary Wharf has great transport links no matter where you are heading to in London. We know, as we tried them all. 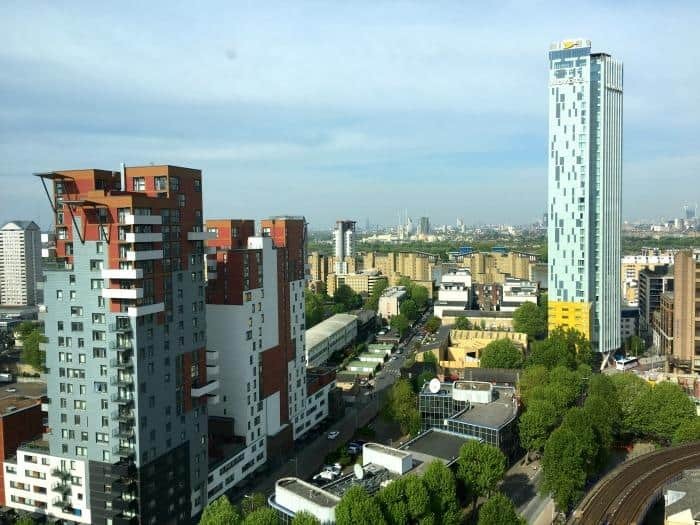 You are a stones throw from Canary Wharf tube station and the Jubilee Line into central London. Being one of London’s more recent tube lines, it moves pretty fast and will get you to the main tourist spots in no time. The South Quays DLR station is also just across the road, so if you’re not a fan of the underground or this is an easier option to get you to your destination the stop is really close by. The most exciting transport option is using the Thames Clippers. 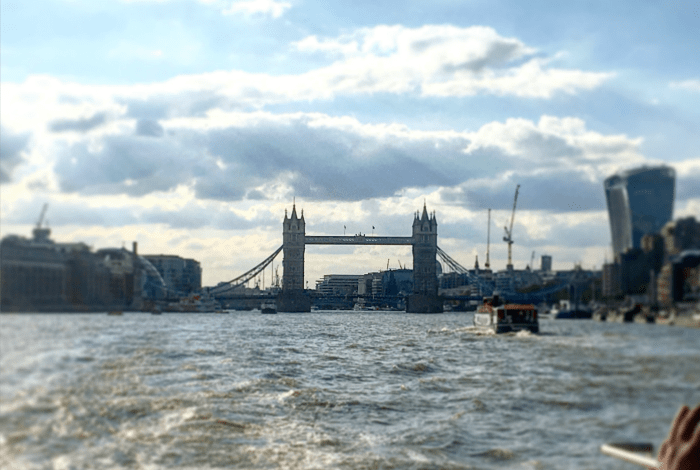 You can catch the boat at Canary Wharf, which is about 10 minutes walk away from the hotel, but well worth the extra time if travelling with young children. When they announce over the tannoy that the boat will travel at high speeds they are not wrong. You hear the engine kick in full throttle and your charging down the river Thames in no time. We all enjoyed this option as it was a lot of fun. During our break with Hilton Hotels we stayed in a Junior Suite with lounge access, which is a great option for families. With young children, we know we are going to be spending a fair amount of time in the hotel. When we are travelling we like to keep some aspects of their routine the same, like when they eat, have a bath and go to bed. Our children get pretty crabby if these things change to be honest. Our Junior Suite came with a lovely sized bathroom with a separate shower and bath. It made the bedtime routine really easy with them and the lovely big fluffy towels we were provided made for lots of snuggly cuddles before bed. We had lots planned during our stay, but we also made sure that we had some time in the hotel, as everyone needs some downtime on their holiday, especially Daddy who has been working super hard recently. We are always the first to breakfast, no matter where we stay, as the kids do like their 6.30am starts, but it’s nice to have a morning when you are not rushing out of the door to be somewhere at a certain time. We do enough of that with the school and nursery run. Our Junior Suite gave us plenty of room to spread out so the kids could watch TV and play with their Boss Baby activities kindly left by the hotel. There was another TV for us to watch, and Daddy enjoyed putting his feet up and catching 40 winks watching the TV while the kids were busy playing. While they were all taken care of, I was able to enjoy some pampering with the lovely Peter Thomas Roth toiletries supplied with the room. I think a bit of me time is really important, isn’t that right ladies? Having lounge access also made a big difference to our experience and it was nice to go to the 14th floor, with or without the children, and enjoy the views over the city. It was a lovely place to enjoy breakfast, afternoon tea or evening canapés and there was also a selection of hot and cold drinks, and in the evening there were also alcoholic drinks available. 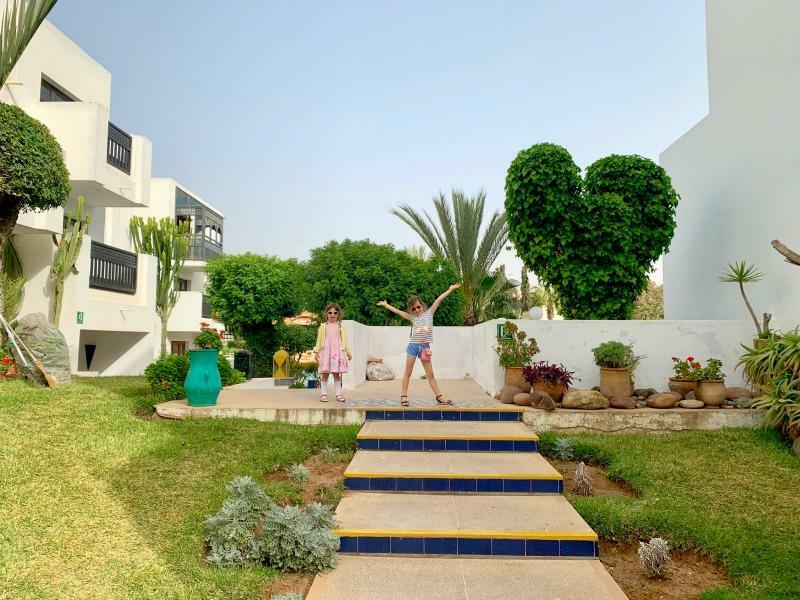 The staff are so welcoming and it’s nice to be able to enjoy some luxury together as a family. Canary Wharf is a relatively quiet area of London, and we felt really comfortable and safe their as a family. We didn’t experience lots of traffic or hoards of people so it meant that getting around the area with two young children was hassle free. There were no noise issues either inside or outside the hotel. I popped out to the shop one evening to get a few essentials for the kids, and I felt completely at ease walking around by myself. It was nice to go into the city and experience the hustle and bustle, but also nice to leave it all behind and come back to the hotel and relax as a family together. The Hilton London Canary Wharf is a great hotel to stay at for visiting the most famous London tourist spots. After we arrived in London at St Pancras Station, the first place we headed was the Tower of London. This was really handy as it was on the way towards the hotel. After a busy afternoon exploring, we decided to catch the Thames Clipper towards Canary Wharf and the girls were very excited about going to see what the hotel was like. During our stay, we had to call in on Buckingham Palace, and this was really accessible from Hilton London Canary Wharf. I hadn’t been since I was a child, and of course it was a first for the girls. We all really loved it, and we also popped into the Royal Mews, where the Royal carriages live, along with the horses that pull them. On our final day we headed back towards Tower Hill to visit Tower Bridge. 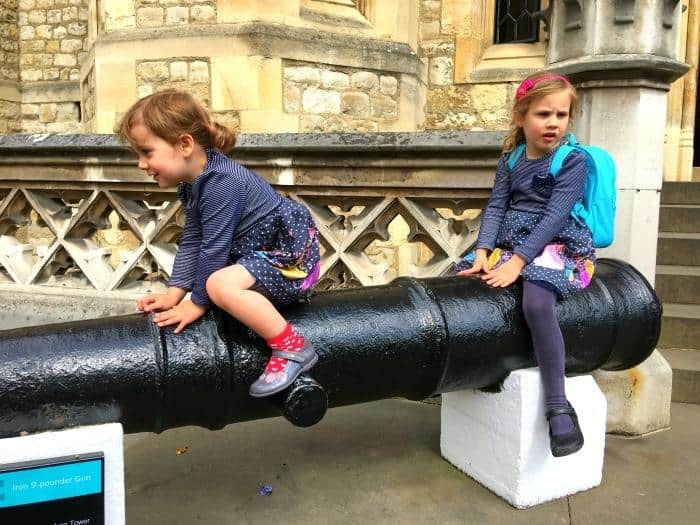 It was a good idea to do this separately to the Tower of London as one thing I really learned over the course of the weekend is that when you travel with kids, pacing yourself is really important. Kids enjoy sightseeing, but you also have to be mindful of how tired they get and how much walking they are prepared to do. 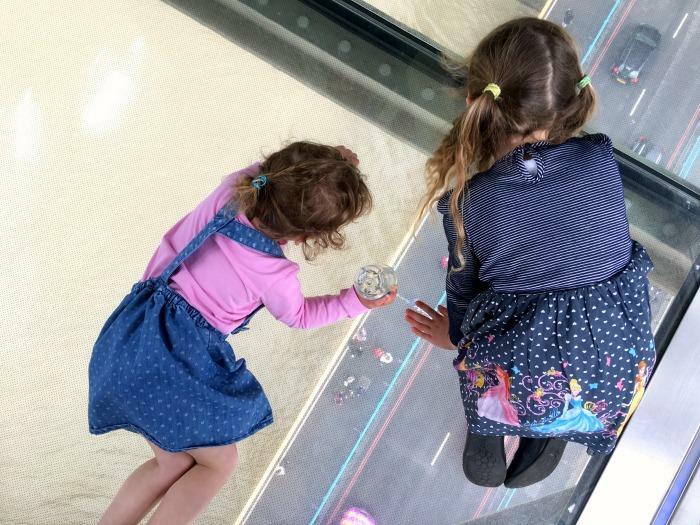 Once we had explored the Engine Room at Tower Bridge and walked over the famous glass floor, we headed to Covent Garden for one last stop. We arrived just in time to see a very funny street entertainer before heading back to St Pancras to catch the train home. 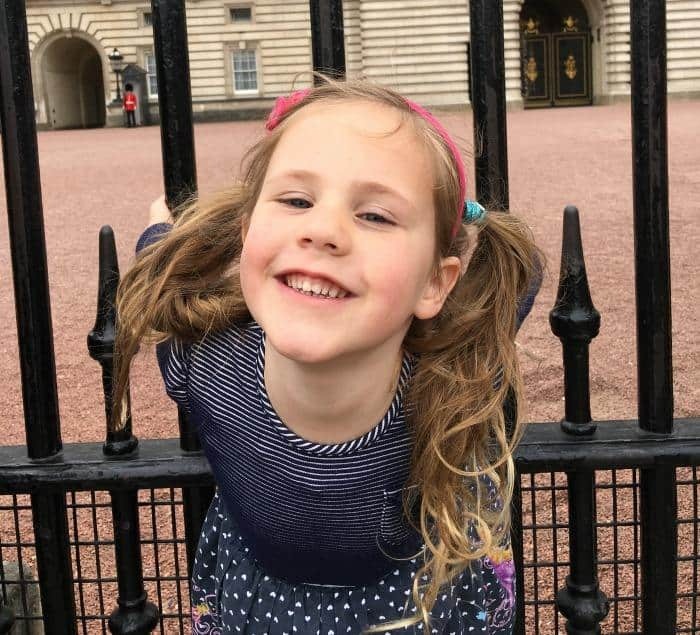 Popping to Covent Garden to do this is pretty much a tradition for myself and my 5 year old daughter now, and it was lovely to share this with the rest of the family. 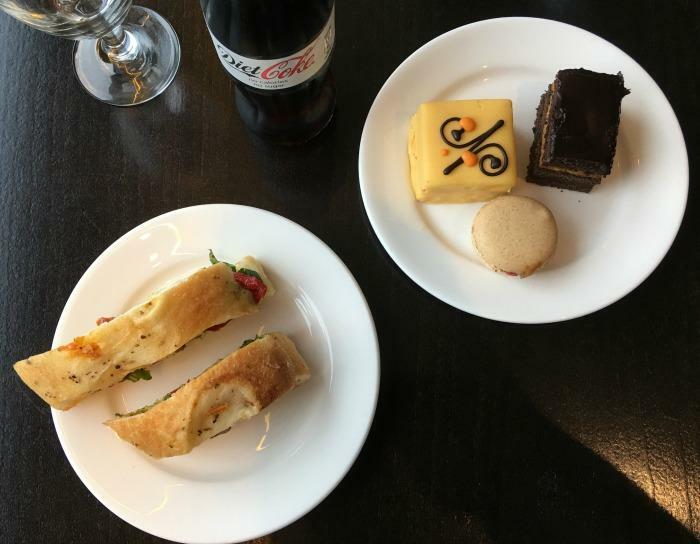 Thanks to Hilton London Canary Wharf, we really enjoyed our city break in London as a family. 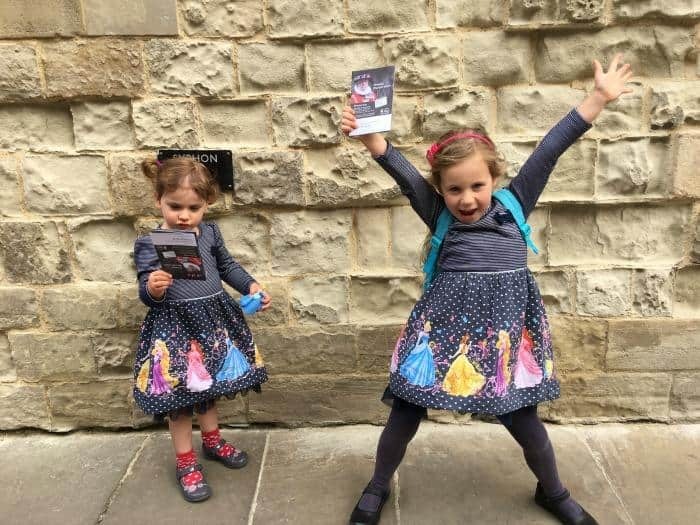 The girls had such fun, both at the hotel and out and about exploring London. Daddy got some much needed rest and relaxation as well as some quality family time over the bank holiday weekend and we all enjoyed a welcoming and positive experience staying at the hotel. 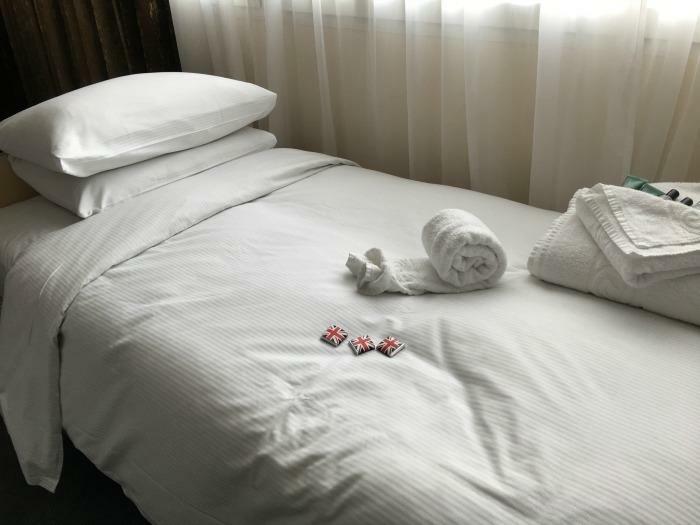 We were invited to stay at Hilton London Canary Wharf in exchange for this post, but all thoughts and opinions are our own and we would be happy to recommend staying here to friends and family looking to visit London and enjoy a luxury stay in the city at the same time. It looks like you had a great time. We will keep it in mind next time we visit as we are always looking for new places to stay. I think Canary Wharf is one of those funny places in London that’s packed with workers on weekdays and quiet and nearly deserted at the weekends! I have stayed at this Hilton before and I loved it. Canary Wharf is a lovely place. What a brilliant spot to base yourself at to take in all the fab London attractions just a stone’s throw away! I haven’t ventured to Canary Wharf yet. The hotel sounds good and the Junior suite nice and roomy. It’s handy if the attractions are close by, it would have made it easier to get around. This sounds like a great Hotel, and a perfect spot to go and visit places around London. Great post! I love that all the London attractions are just a stone’s throw away from the hotel.